Before heading out to the Penny Arcade Expo, I thought I should boot up Supreme Ruler: Cold War – a game that I have been putting off for a long time. If you’re not familiar with the Supreme Ruler series, the games are from Canadian developer Battlegoat and until now have looked at a near future of microstates and constant war. SR: Cold War is their first attempt at an historical setting for their style and it should be a great setting for a strategy game. Twilight Struggle is a great board game, there are lots of great war games, and even the Rise of Nations Cold War scenario was a better than average RTS scenario. Now I’m only still dabbling in SR: Cold War, so this isn’t a review and it won’t be one, but in some ways the game shows up one of the great difficulties of a sandbox game in the post-war era, and it’s something we’ve talked a little bit about on the podcast. Unless you play one of the really great powers, there really isn’t a lot to do and, since the game has no in game tutorial, and my Steam version has no manual (will check Gamersgate later for sure), I wasn’t quite sure what my 1949 Canada should be doing besides trading arms designs with other middle powers and turning New Brunswick into an industrial wonderland. If I had chosen Turkey or Portugal or India, I’m not sure my options would have been any clearer. Strategy games presume conflict, and the Supreme Ruler system has a lot of conflict built into it. You build specific types of units, army base placement matters, and you even need military support to stay in power – especially in a country where the civilian power structure might not be stable. So Canada was building tanks and boats and oil fields and hydro plants, but once I had them I had no idea what the next step would be. We often look at sandbox games as those where you can set your own goals and do whatever you want. The Sims, SimCity, Europa Universalis, Dwarf Fortress…but really the freedom is a bit of an illusion. You can do whatever you want, yes, but it’s not like the game is not suggesting goals to you or nudging you to try different things. Every new neighbor or unlocked building or National Idea slot or rich vein of copper is a reminder of a new path for you. You do choose your own goals, but these goals are often presented to you so deftly and subtly that you don’t always notice how skillfully the game design is poking you forward. The Prospect of Perpetual Peace in a sandbox geopolitical game is a killer. If I had started with the USA or USSR in a proper campaign game, then I could have chosen one of a dozen victory conditions and moved forward there. But, ironically, that sounded too daunting for my first time out with SR: Cold War. I chose a middle power and found myself staring at budgets and resource nodes and wondering if I had to plan for an election or not. Should I just build a lot of oil fields? I don’t really have an independent foreign policy, do I? I hardly have an army or navy that can back my words anyway. And besides, that’s not what countries do now. As violent and bloody as the second half of the 20th century was, it was also the first point in human history where it was accepted that you couldn’t just use your army to grab someone else’s land and expect the world to be OK with it; it’s not that this never happened between 1945 and 1999, but much more often than not, the world stood up and said that this sort of thing just wasn’t done any more. Geopolitical games assume that there is some sort of competition between nations, but if every nation is pursuing a different minigoal, it makes it very hard to be sure just whether my economic planning has any purpose beyond bettering the situation in Kicking Horse Pass. So, clearly, when I get back from Seattle, I have to start with the campaign – not the sandbox. I have to master the more tense goal oriented play before I can think about my beloved self-motivated but game directed play. I find myself playing towards Perpetual Peace an awful lot in sandbox strategy games, even ones designed around conquest. In EU3, if you don’t count colonial empire building as conquest – which the game doesn’t really – then most of my games have been almost entirely peaceful for 500 years. My last game of GalCiv 2 ended in disaster after pirates attacked me well into the mid-game when I still hadn’t built a single combat ship or researched more than a handful of military techs. And even in Civ, unless I’m going for a military victory, I’m quite content sitting on my five or so cities and teching/culturing up. I usually play the Anno games with combat turned off, and I much prefer the economic side of Settlers or Rome/Pharaoh to the military side. I am mostly a pacifist myself – I explore and research and only fight when forced (or the takings a sure thing.) But choosing peace out of a menu of possible actions is different from having peace as the core design and nothing to really focus the competitive energies. Take the spheres in SR: Cold War, for example. There aren’t enough regular notices of competition in disputed areas. Victoria 2 would let you know when you’d been slandered or tossed out, but SRCW could do a lot more to push this central mechanic, because they do a pretty good job of it. I’ve only played demos of the SR games, so I’m not too familiar with them, but I would have thought that in the Cold War version a fun mechanic for a small country would be playing the superpowers off each other while trying to retain as much independence as possible (and purusing whatever domestic goals were appropriate – economic growth, citizen welfare, absolute power etc). Kind of like Tropico but more high level. Is that not viable in the game as implement? 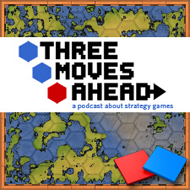 Also, and this came up in the national character podcast, there are a fair few peaceful strategy games that have conflict. Railroad Tyccon was cited, but there’s also Industry Giant or Capitalism. I guess I’m not really sure what you’re arguing here, unless it’s just that SRCW, along with a lot of other games, pushes you into constant war even while pretending to be open-ended. I certainly see where you’re coming from. I’ve usually felt overwhelmed in Hearts of Iron/Europa Universalis and wanted to start with a smaller country, only to be presented with little to no choices with most smaller nations. Which makes sense historically, but makes for a terribly boring game. Part of the problem is the non-combat options seem to involve a lot of waiting, and very little granularity in your decision making. So I guess that’s more a perceived problem with the base mechanics rather than the game doing a good or bad job of indirectly pushing me into “fun”. All the talk of spheres of influence makes me think of Balance of Power, but I was never really excited by it either. Just seemed like too many choices to make, with each making an almost imperceptible change. Maybe just a reflection of reality there though. At BattleGoat I don’t think we really try to hide the fact that the Sandbox is not the major mode of gameplay for SRCW… The Cold War itself is defined by the competition between the US and USSR, between NATO and the Warsaw Pact. So playing as a secondary nation already takes you off the path of the game design. On the other hand, Sandbox play is very popular with a large segment of our players. And the reasons they like it sometimes boggle my own mind – we have the “Peace in our time” players, we have the “I want to mix things up and try to survive” players, and of course the “I wonder what would happen if…” players. Some players are happy to run their countries and see if they can do better than the historical result, for instance creating a a dominant India or China by 1970, though others are just happy to see if they can keep their country stable and running smoothly. One of the things I’ve learned in our Supreme Ruler titles is that different players bring many different perspectives to the game. In Supreme Ruler 2010 we had a lot of players complain that the world always moved toward conflict and war, to which I often answered that the game is called “Supreme Ruler” not “Supreme Peaceful Diplomatic Utopia”, but in the end we added options to our games to control the level of volatility and AI pre-disposition to war. The Cold War period was an interesting challenge for a game series that has so much “war game” in its DNA, and overall we’ve been very pleased with the response from the community and our players, but as you point out the period involves design challenges that don’t always have easy answers.